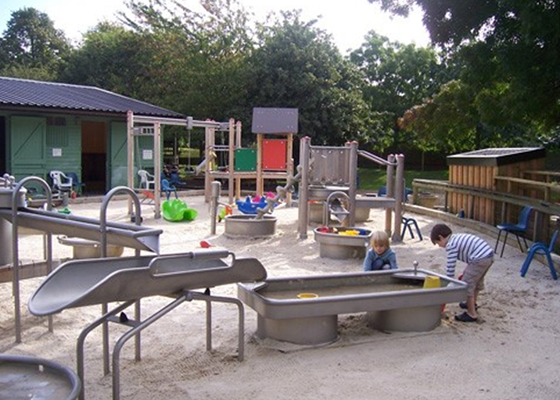 an outdoor area provided for children to play in, especially at a school or public park. 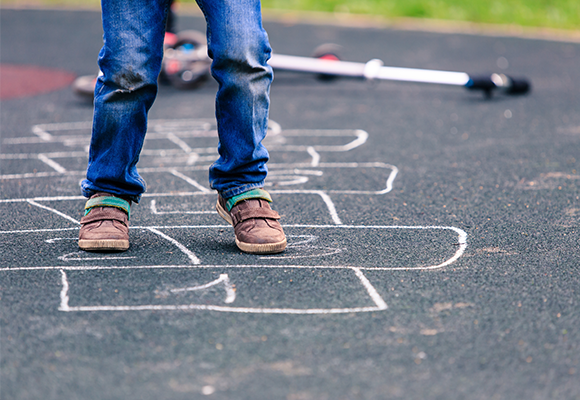 "I was playing hopscotch in the playground"
Welcome to our new weekly newsletter! The forecasts are looking good so we're encouraging everyone to get outside this weekend. Easter can add up. All those holiday camps (see here or here for recommendations), days out, chocolate eggs... so we're waking lyrical about the many wondrous London playgrounds and parks that parents recommend. They are all free and offer so much. “Half an hour's walk from Hammersmith Bridge, with plenty of parking,” says a mum. (Arguably not during the annual Oxford v Cambridge boat race that took place last weekend, the bridge was ram-a-jam-jammed). 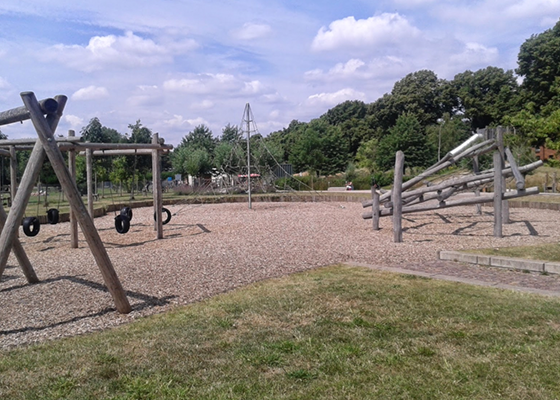 The community park features a lovely, shallow water splash pool that keeps youngsters busy for hours while you sit around the edges – great for parents then, too – and an adventure playground with a sandpit for older children. Sunday has an Easter Egg hunt starting from 11am at the food market (10am-2pm) next to Chiswick Bridge. Recommended by a dad, this wonderful 200-acre park was a late-19thCentury asparagus field, duelling ground, no less. Now it’s a Thames riverside nature reserve with ponds and huge water fountains – great in a heatwave – with a zoo (otters, donkeys, ferrets, tractor, fire engine...), a Pump House contemporary art gallery (open Wed-Sun) accessible through the park only and a posh mini golf (no prebooking, £9 adult, £7 kid). Check out the bargain summer sport camps (end July for 3-4 year olds, mid-August for 7-12 year olds). The park isn’t near a tube (yet, in a few years it'll connect to the Northern Line), so just jump on a bus. ”The Marylebone Green Playground at Regent’s Park has been recently renovated and it’s great!” exclaimed a parent on Kinfo. Located at the southern end, serviced by four tube lines, find it near the Open Air theatre (which we have to tell you is showing a production of Oliver Twist this summer for ages 6+). 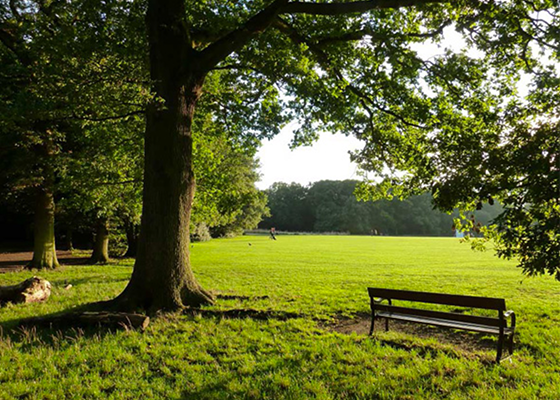 The park is famously home to ZSL London Zoo(gorillas, lions, penguins), stunning Queen Mary’s rose gardens in the Inner Circle, and the northern end has the canal running alongside it, where you can walk along towpaths or boat to Maida Vale or Camden. Feel-good playdates among oak, hornbeam and holly. A forest full of magic and charm. A bird sanctuary. A play area with café and heaps of leaves to kick about. Most of all, an easy escape from the city within an ancient woodland. Let the trees breath in all that nasty carbon dioxide, as we breath in their oxygen. 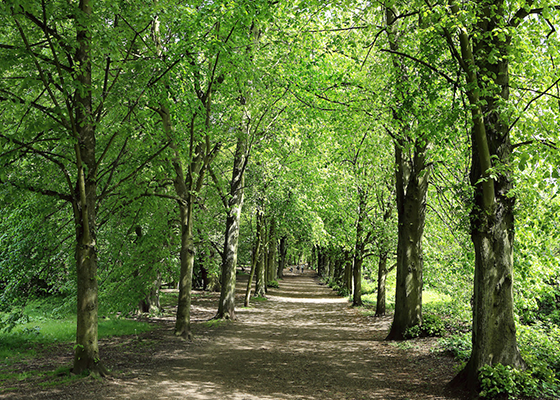 Did you know, trees symbolise protective, enduring strength? You'll feel their presence here, and leave feeling strong. "Wonder among the trees to a grassy copse. Pure escapism," says a mum. “Fantastic park with deers and a wonderful water garden where kids can have a splash while we have a rest,” says a mum about this onetime hunting ground for Henry VIII. The Waterhouse Woodland Garden (open Tues-Sun from 9am) offers a Baroque-style collection of pools and canal to walk around. 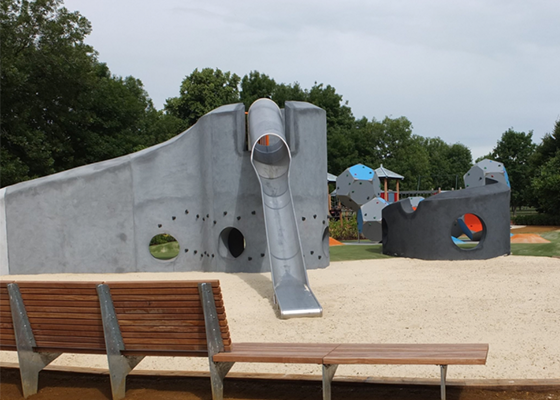 A playground with a sandpit and climbing boulders lie near the Diana Fountain. 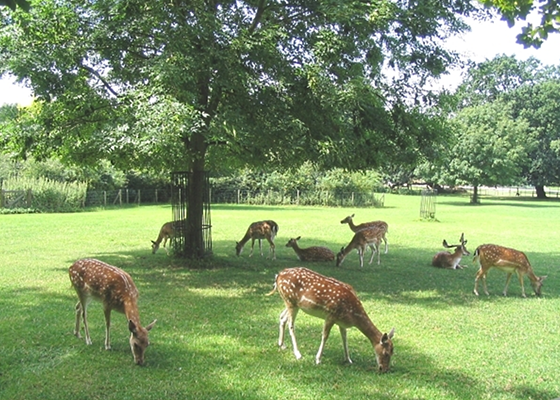 May-July are the does birthing months, the females among the 350 red and fallow deer are at their most protective. So be careful with dogs. The Pheasantry Cafe (open 9am-6pm) is a total yummy mummy hangout during the week, located between the car park and a picnic area. 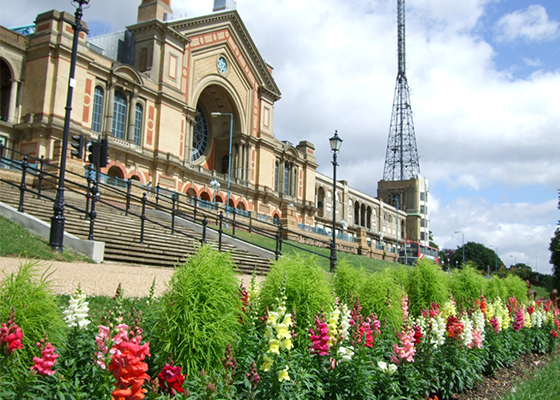 As Sadiq Khan tweeted this week “There is nowhere in London quite like Alexandra Palace…”. The views curling down the hilltops are incredible. Secret operations used to jam enemy wartime radio signals from studios here. These then became the BBC's main transmitting centre. Now, they and the Victorian Theatre are being refurbished with Lottery funding. Behind the building a large pond hires out paddle boats. One of the most child-friendly London ice-skating rinks is inside. “The experience was amazing,” is how a mum describes skating here. Gigs, events and markets for all ages and tastes can be found here - it wasn’t called the Peoples Palace for nothing! “Beautiful space where the kids climbed trees, fed the donkeys, flew kites and visited the butterfly house. What a lovely place!” Sweeping, majestic lawns and ancient, thick oaks frame the rolling, grass hills… Close your eyes and imagine Regency ladies in hats holding sun umbrellas – all very Pride and Prejudice. Perhaps it was like that here once. 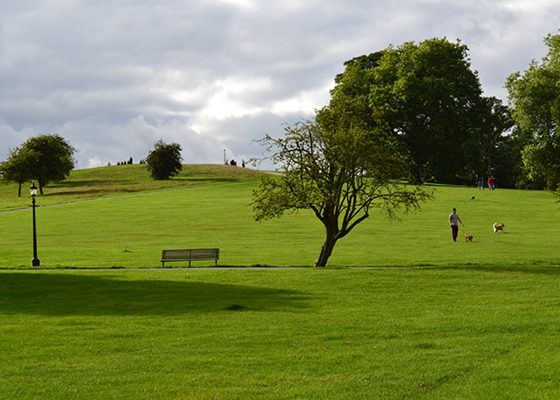 Now, the park is mostly used by locals (tourists tend to pile to neighbouring Hampstead Heath). There is a zoo – with exotic animals such as flamingos, ring-tailed lemurs, kookaburras and eagle owls, plus a butterfly house (open afternoons), a massive sand pit, playground equipment for all ages and a Café that sells amazing homemade ice cream. Result! You have East Heath and West Heath. East is the main one, with Kenwood House at one end and the Hampstead Heath train station a walk over the hill from Gospel Oak train station. Celebrities regularly walk their dogs here. Accompanied 8-16 year olds may swim in the mixed open air freshwater pond and then there’s the huge Parliament Hill lido. It’s unheated so can also be quite bracing! The heath's views are pretty from the top. “Always fun hanging with the kids there!” says another tipper. This is where the cools kids go, the teenagers of North London, the new Primrose Hill set (the old ones have more or less moved on). It’s an uphill hike from Camden so there's not a huge tourist presence, with panoramic views over London, overlooking the turrets and cages of London Zoo. 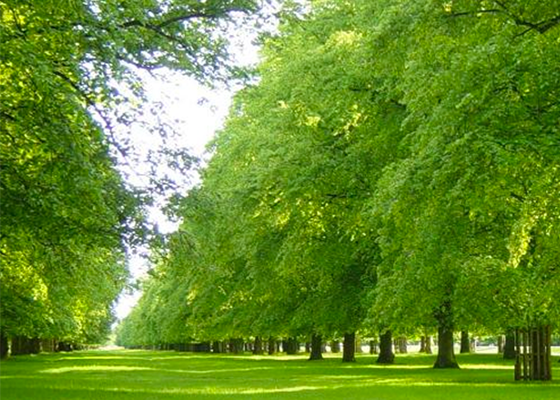 “Great gardens to visit and car free roads for bicycles. Ideal with children. Cafes along the way to stop. Even Roman ruins,” says this mum of 3.There will be special events for Easter in the Savill Garden (£10.50 per adult, children go free), such as the Carnival of Colour that promises to be vibrant. 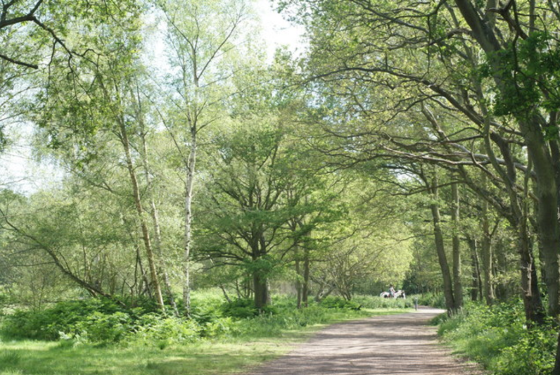 Known worldwide as the home of The Wombles this common is “Highly recommend, with beautiful natural surroundings. Great for getting closer to nature. Lovely coffee shop.” Lots of walking and cycling trails for all the family. The popular family-run Windmill Café serves homemade favourites (open 9am, the kitchen closes at 3.30pm).